After 5 and a half years of dating, my big brother is finally getting married to the most beautiful and sweetest girl in the world. As the jeweler of the family, they came to me for help with their wedding bands, of course. They didn’t want “normal” bands, no, they wanted one another’s fingerprints inside their rings. My thoughts were: Gulp. Yikes. Whaa…? Not having the slightest idea of how I was going to get the job done, I said “Sure! No problem, I’ll do your wedding bands!” What did I get myself into? I had never done anything like it before so I went to the books. Read about etching, but the acid solution for gold was too dangerous so that was a no-go. Thought about warming up some wax and pressing on it but I ended up burning my husband’s fingers, so, another no-go. Finally, I went to my mentor, Marc Thurn. He gave me some sheets of black beeswax he had saved from his years in Germany and gave them to me. I saw the light again. 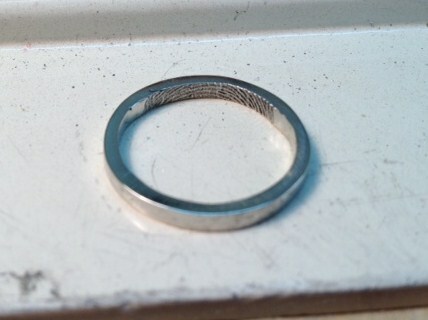 After getting the fingerprint impressions, I carved the rings. 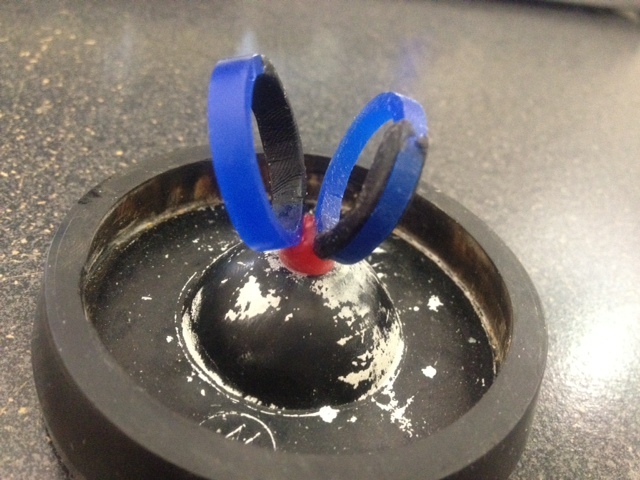 I carved a groove inside both of the rings so that I could insert the black wax without damaging their prints. 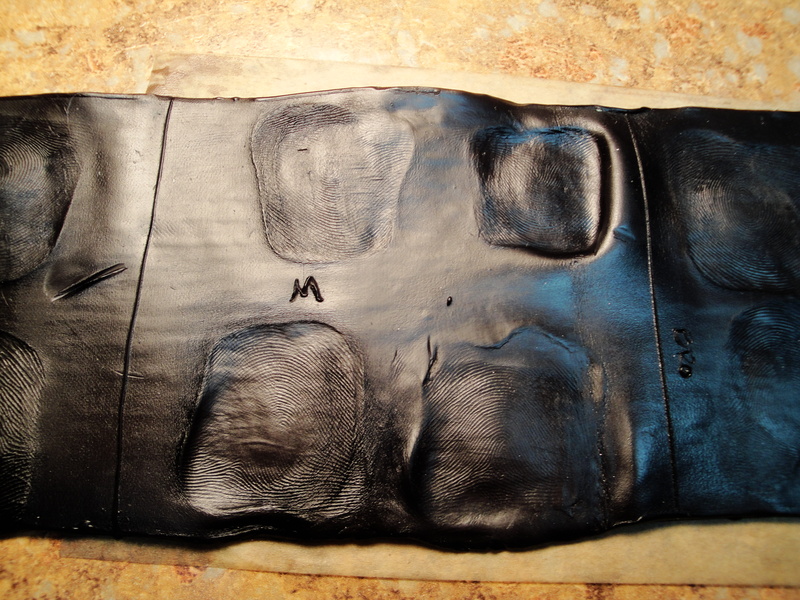 The black wax is very soft and marks with ease. It feels almost like silly putty. Once the wax models were ready I made a wax tree, crucial step for lost wax casting. Then I covered it with an aluminum flask and filled it with investment. The investment needs to cure so it is placed in the kiln for a 5-hour burnout procedure. Once the burnout is done, you cast. In my case I use a centrifugal casting machine at Miami Jewelry School because I don’t have one yet. These suckers cost about $650! After the casting is done, you still have lots left to do. Filing and sanding take F.O.R.E.V.E.R. White gold is super tough! But hey, it’s all worth it. Today I showed the bride to be a preview of her band and she loved it. Thank you Monica and Bro for trusting me with such an important aspect of your wedding. It meant a lot to me to work on this special project and I did it with all my heart. I was always curious how this was done, thanks for sharing.